Brooklyn Brewery - Credited with reviving Brooklyn’s beer industry, Brooklyn Brewery’s Northside hub is open for tours and by-the-token tastings in the Tasting Room. 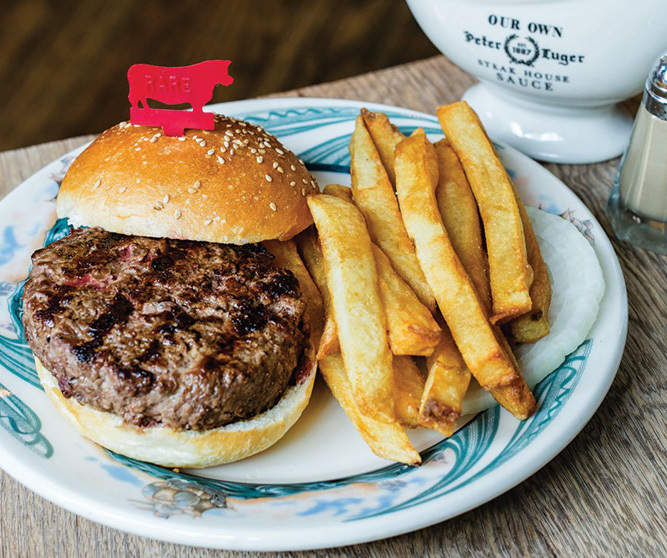 Peter Luger - This Michelin-starred steakhouse has been delighting carnivores since 1887. Note to first-timers: No credit cards accepted. Egg - This Williamsburg favorite serves up a memorable breakfast, complete with fresh-baked biscuits and cage-free eggs (naturally). 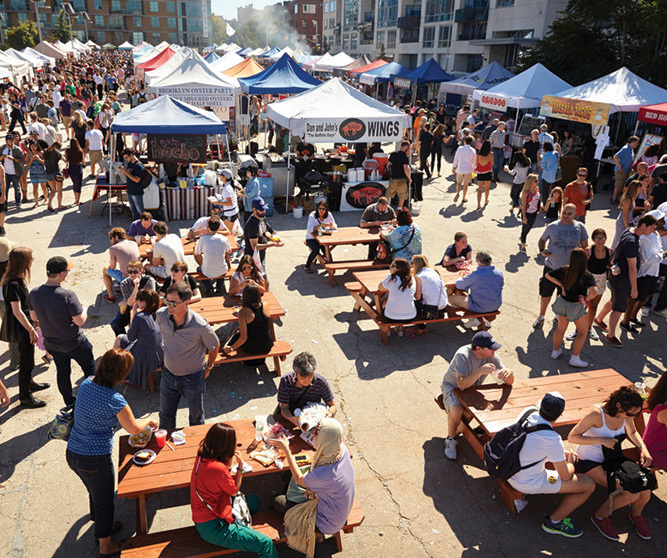 Smorgasburg - On Saturdays from April to November, this weekly market on the Williamsburg waterfront at East River State Park showcases the artisan goodness of 100+ local and regional food purveyors. Williamsburg Bridge - Bike and pedestrian lanes make it easy to head to Manhattan without traversing the more crowded Brooklyn Bridge. McCarren Park - This 36-acre community park is a heart-of-Williamsburg oasis complete with athletic fields, playgrounds, tennis courts, and the vast McCarren Park Pool. 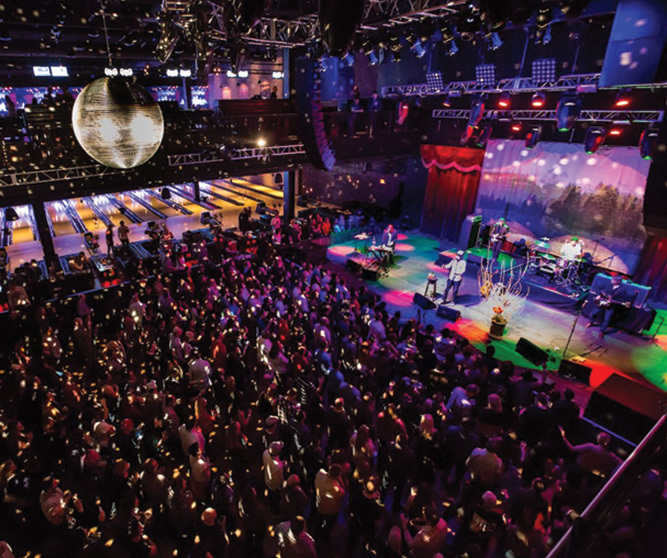 Brooklyn Bowl - Part bowling alley, part concert hall, this is one of Brooklyn’s favorite spots for fun. Added bonus: food by Blue Ribbon Restaurants, a Brooklyn household name. Nitehawk Cinema - Movies and mealtime come together at this Brooklyn triplex serving brunch, dinner and midnight snacks washed down with adult beverages. Brick Theater - Founded in 2002, The Brick is a brick-walled garage turned state-of-the-art performance space nurturing the work of emerging artists. Brooklyn Winery - Rustic details add just the right amount of romance in this working winery in Williamsburg. Brooklyn Botanic Garden - Stunning outdoor spaces, including the Palm House and Atrium, make this a favorite of springtime brides. 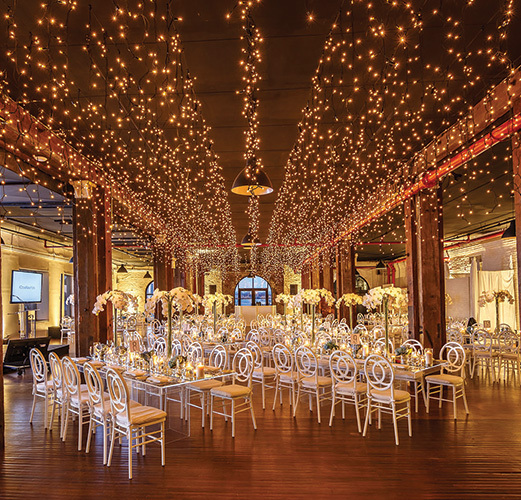 The Liberty Warehouse - Striking views of Statue of Liberty from a waterfront promenade are just one reason this Pier 41 venue is a prized setting for weddings. McCarren Fitness Center - Make time to get fit during your stay at our state-of-the-art fitness center featuring Peloton® spin bikes. 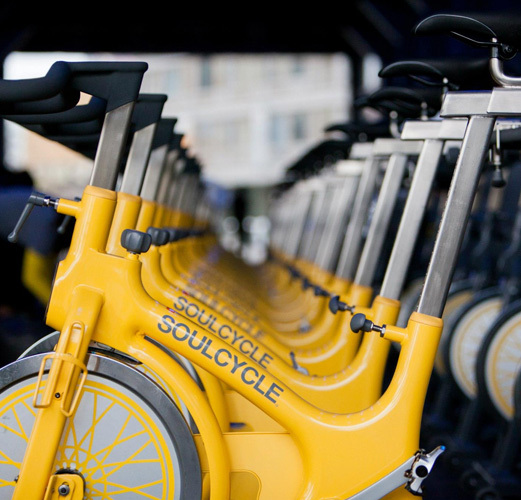 SoulCycle Williamsburg - Head to this popular Kent Avenue spinning studio for a workout with some of Brooklyn’s top trainers. Chalk Gyms - More than 60 free classes weekly, a monthly playlist of emerging artists, and a per-day access fee (perfect for out-of-towners) makes Chalk a favorite. Pure Barre - One of the area’s premier barre studios, Pure Barre on Wythe Avenue offers dozens of high-energy, low-impact classes for barre fans of all fitness levels.